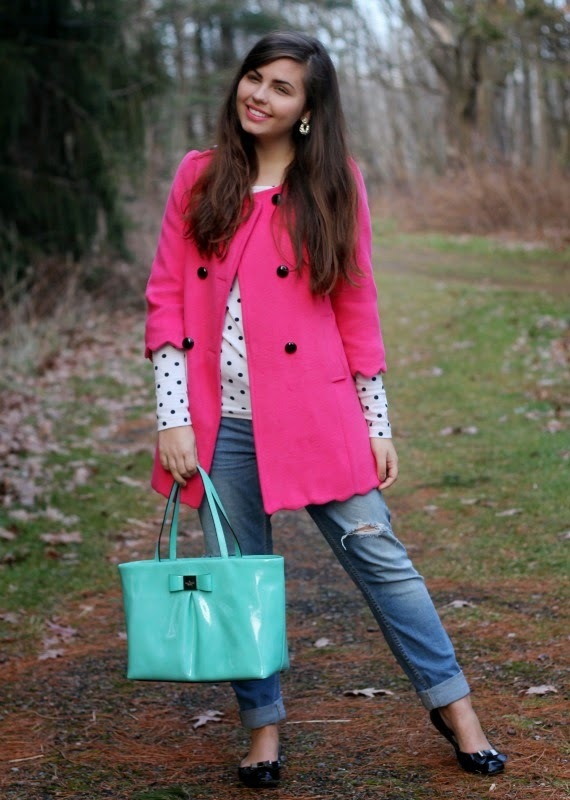 Pink Scalloped Coat: c/o OASAP. 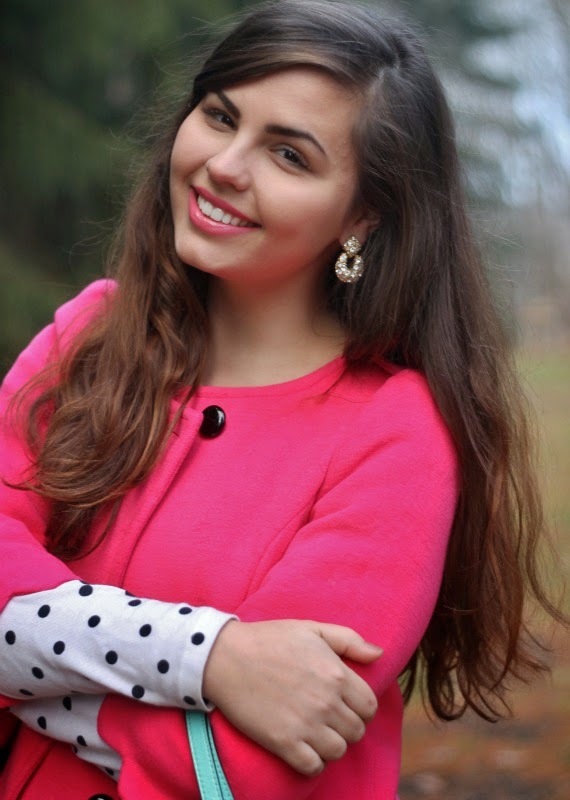 Polka Dot Top, Earrings: Thrifted. 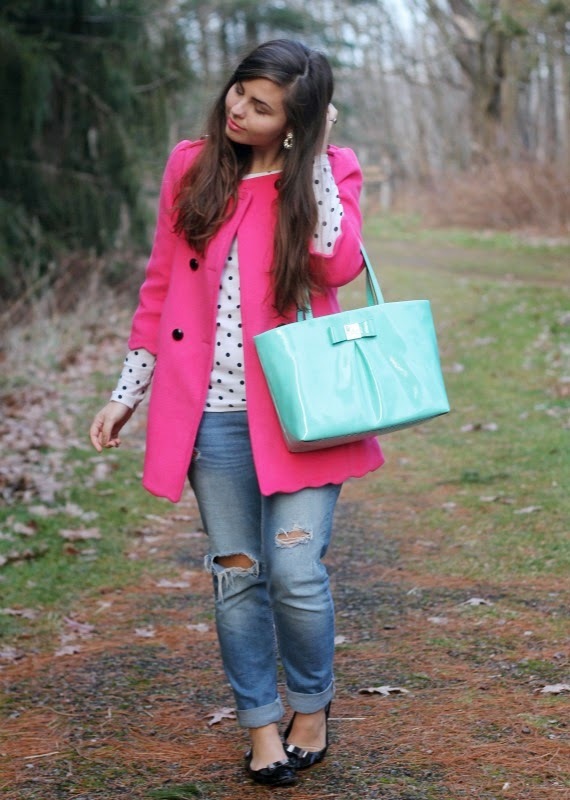 Kate Spade Bag: Gift from my friend Hannah! I think every girl has that one aspirational brand she would just buy everything from if she had the money. Kate Spade has kinda always been that one for me. It is quintessentially the "girl" I aspire to be. 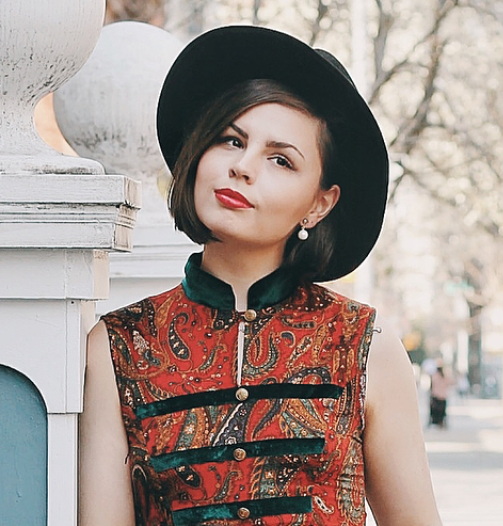 Put together, classically quirky, feminine, professional, independent and "knows what she wants." I just dreamily look in the store on occasion and stalk their website + social media pages thinking about what I'd pick out it I could afford it. I didn't think until way after college, or maybe even ever, I'd own a piece from the brand butttttt.... my dream has come true! Sitting on my bed for me when I came home from Italy was a gorgeous, patent, Kate Spade purse. This is what dreams are made of, guys. My long time, sweet blogging friend Hannah and her family gifted it for me for my 21st birthday! My birthday was in August, but I knew a "present" had arrived for me right after I left; so I had to wait all of these months to finally get it. I honestly couldn't have been more surprised or thrilled-- I am forever thankful to my friend for such an amazing and perfect gift! I couldn't agree more when you say every girl has that one brand... Kate Spade just happens to it for me as well. Unfortunately, I have yet to own something amazing from the brand, but it's nice to admire from a far. 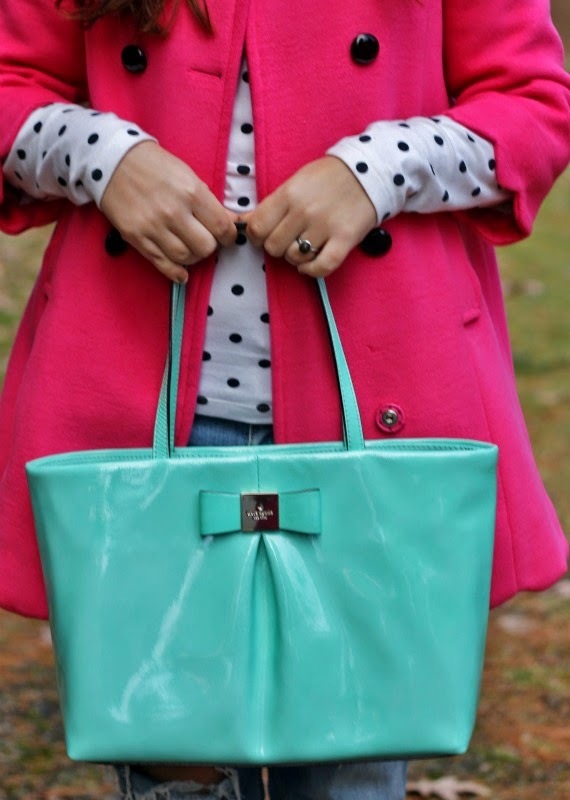 The bag is absolutely adorable, as is that pink scalloped coat. And you can never go wrong with a par of boyfriend jeans. Great outfit, Lauren! And my 21st is in two days! I'm really excited! Waking up that morning to anything Kate Spade would be an absolute dream haha. Happy holidays! How lovely and kind and generous of her!